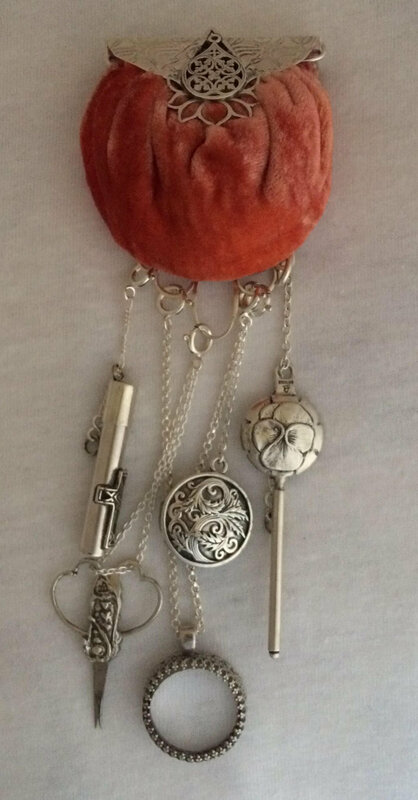 This sterling silver chatelaine has tool hanging loops at the bottom. 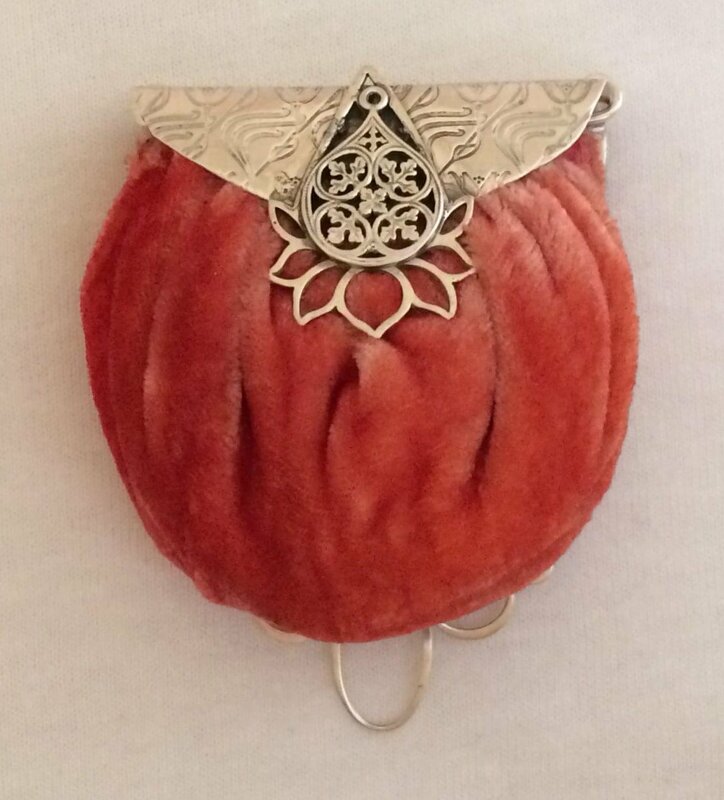 The locus velvet pincushion has the look and feel of a tiny purse. Filled with felted wool. 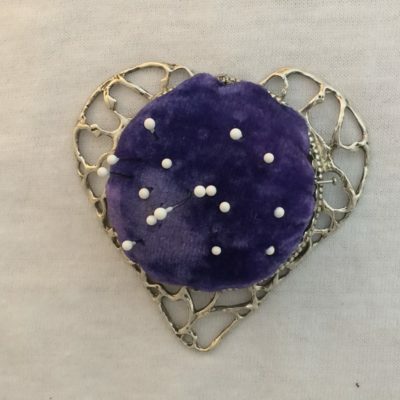 PIncushion rings are all hand built of sterling silver and felted wool. 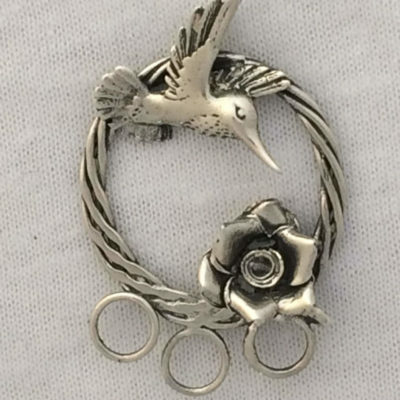 They are made of heavy silver that is adjustable to many sizes. If you bend that adjustable piece every time you put it on, it will eventually break off.